The town of Dublin was in the eye of the storm Friday night. I was out for dinner when my phone lit up with storm alerts. 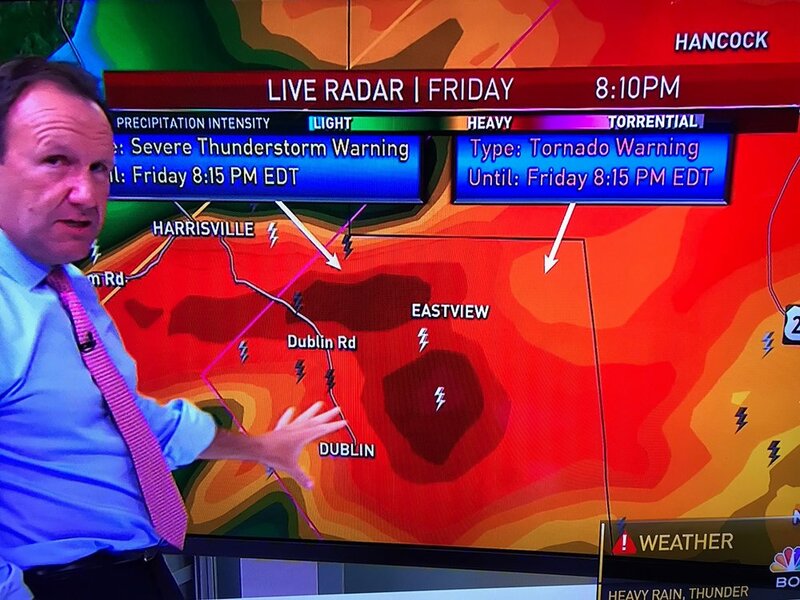 My brother took a picture of a segment of the Boston news that showed the bullseye of the storm hitting on Dublin Road right where our campus is located. We ended up receiving almost six inches of rain in ninety minutes. I left the dinner party and checked in on campus. Buildings and Grounds members Steve Sanders and Norm Bergeron had returned to campus and were working feverishly to stem the literal tide of water rushing down Beech Hill and through our campus. After determining that all of the summer camp students were safe I walked the mile back to our home--the road had been washed out on both ends of the road where our driveway is located. When I arrived on campus the next morning Norm and Steve were already at work. Riley Harrison '19, who has been working on campus this summer, volunteered to work on a Saturday to help them make sure the campus was safe for everyone in residence. The damage could have been much worse and we are very fortunate. I want to thank our Buildings and Grounds crew not only for the clean up, but also for all the preventative work they did this summer to help mitigate the impact of natural challenges like the one we experienced Friday night. I big thanks to our kitchen crew for keeping the food on our tables when it was very hard to get to campus, and to Jeff Harrison for keeping the wifi humming through it all. 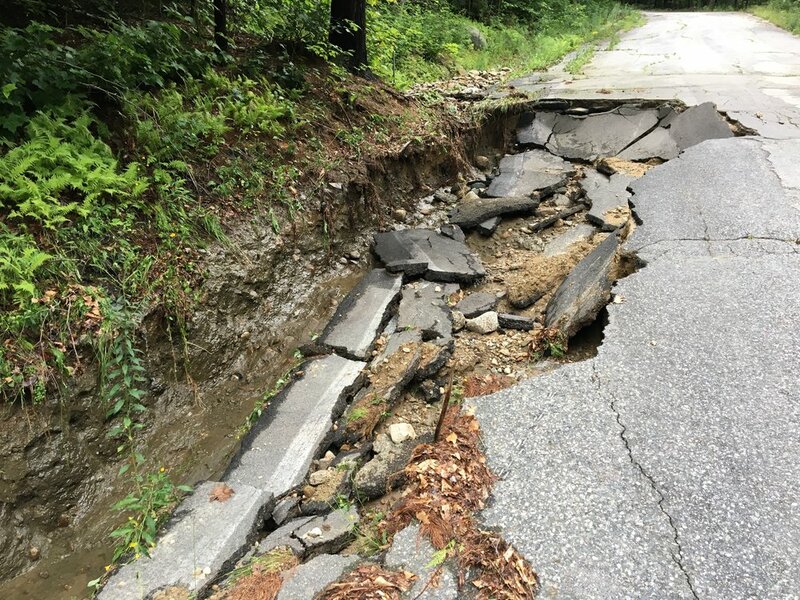 The NH Department of Transportation has done an amazing job of repairing the devastation on our local roads and everything should be safe in the short term. Someone described this as a once in a century storm and I sure hope it was!